As we wind up another school year and reflect about the memory-making lessons we’ve shared throughout the year, we received a sweet surprise today! 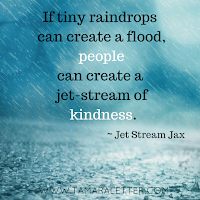 In early October, we introduced our year-long kindness initiative by watching a YouTube video of an eight-year-old boy in Texas named Jet Stream Jax. In his video, he shared his passion for weather forecasting and storm chasing. Mesmerized by his passion, we were instantly drawn to his video clips. As Jet Stream Jax’s video continued, we were heartbroken to see the devastation that Hurricane Harvey caused to his community. 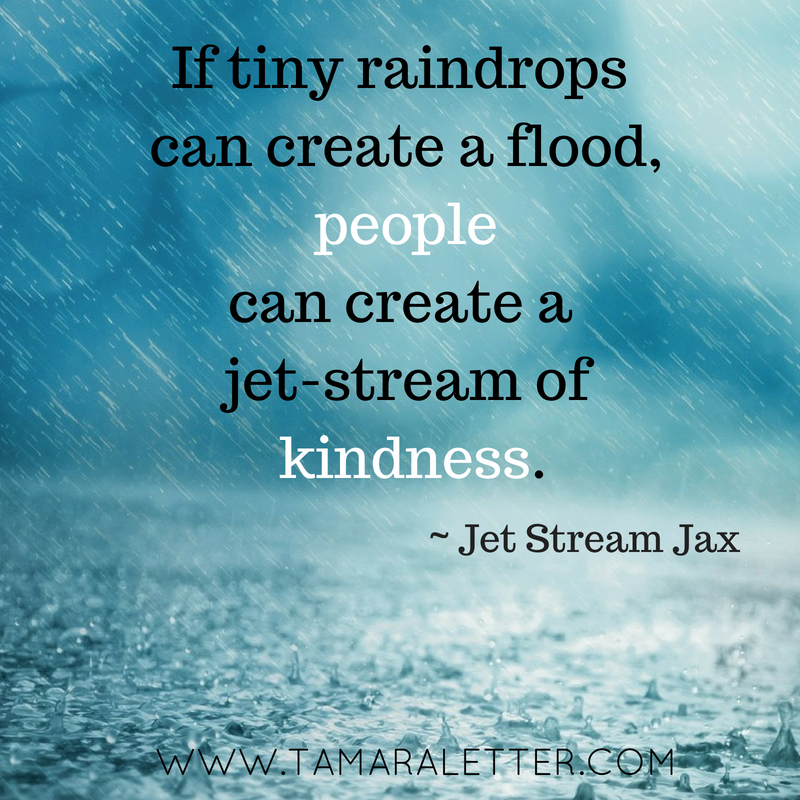 We dove into discussions of empathy and compassion as we listened to Jet Stream Jax’s call to action. He wanted to rebuild the playgrounds destroyed by the hurricanes in Texas, Louisiana, Florida and Puerto Rico. 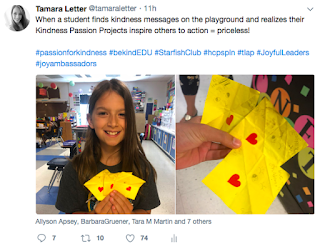 Partnering with Kids for Peace and The Great Kindness Challenge, Jet Stream Jax encouraged us to collect “Kind Coins” to help in the restoration. 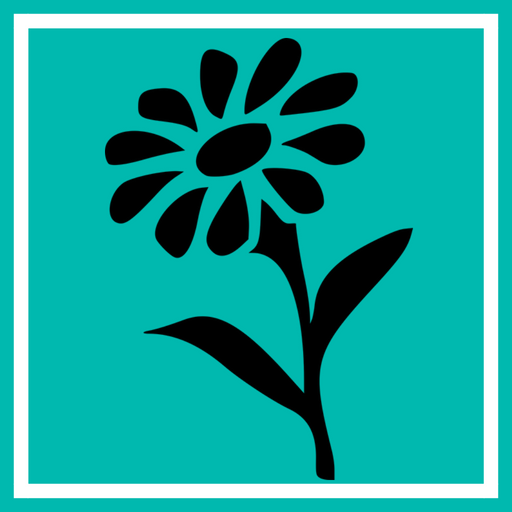 We did exactly that as we remixed relevance with our future kindness lessons. Today, exactly two weeks after our Kindness Share Fair, we got to meet our inspiration! Mrs. Madison and Mrs. Cross’ classes sat in wide-eyed wonder as we connected with Jet Stream Jax over FaceTime using my cell phone for portability. It was such a joy to see and talk with him virtually, even though he was several states away! After making our introductions, he showed us their rebuilt playground which was more like an obstacle course from American Ninja Warrior. They even had a timer to track how fast they could complete the course which Jet Stream Jax did for us in 46 seconds! Wow! He and his counselor, Barbara Greuner (who is also the author of the book What’s Under Your Cape? SUPERHEROES of the Character Kind), showed us around their Peace Garden, holding up the rock they painted for our school. They also showed us a rock they received from Europe and one painted by Jet Stream Jax’s family. Several students came to the front and chatted with Jax about their Kindness Passion Projects, trading stories of kindness and inspiration. One student remarked that she was born in Texas and while others shared their love for weather watching and video making. We learned that the next playground to be built will be one in Puerto Rico, then we shared with Jax how we recently had flooding that wiped out several streets in our district. As if on cue, a roll of thunder could be heard and it was time for Jax to get inside his building for safety. 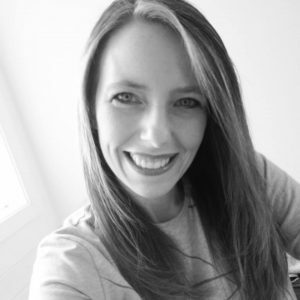 We said our goodbyes and one student remarked, “I can’t believe we just met Jet Stream Jax! That was so cool!” He is already a celebrity in our eyes. 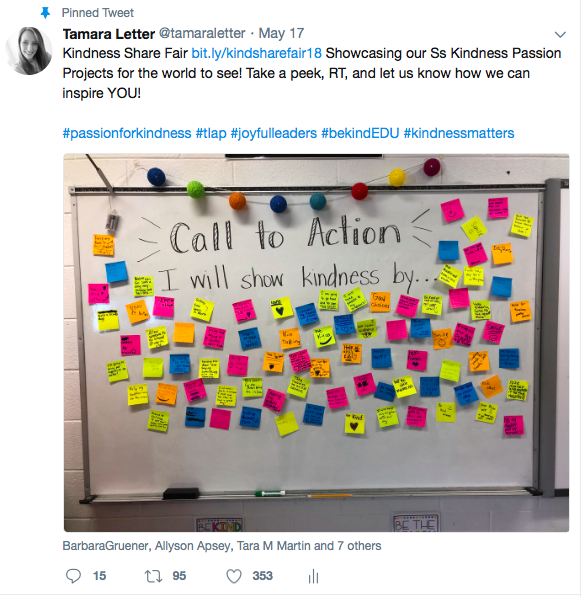 We took some time to reminisce about the Kindness Share Fair then talked about all the ways we can scatter seeds of kindness by sharing our story with others in person and on social media. 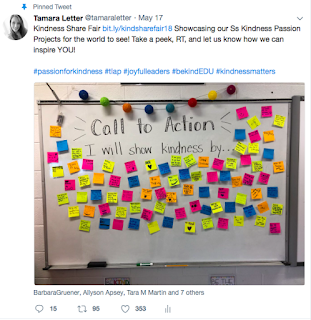 I pulled up my Twitter account and showed the students our Kindness Share Fair post which displayed all the likes, retweets, and comments. We scrolled through and read each one and discussed how far and wide our projects are reaching. Then we talked about the kindness notes a student found on the playground today, a sign that other students are joining in the fun of sharing kindness, too.